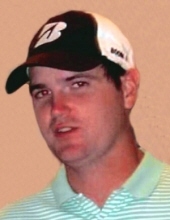 Richard S. Pogonelski, 36, of Hamden, passed away unexpectedly on March 18, 2019. Born in New Haven on July 13, 1982, he was the son of Mary Beth (O'Connor) Stewart and the late Richard C. Pogonelski; stepson of Robert Stewart; maternal grandson of Mary Elizabeth (Braden) O'Connor and the late William T. O'Connor Sr.; brother of Ryan Pogonelski and his wife Meghan of North Haven, Brendan Pogonelski of Hamden, and stepbrother of Det. Brian Stewart, HPD and his wife Kelly of Bethany. Rich also leaves behind Aunt Ellen Cusano (Louis), Uncle William O’Connor (Peggy), several cousins and many friends. Rich was an avid golfer and enjoyed his work as a golf pro for many years in Charleston, SC and at Woodbridge Country Club. From an early age, Rich was immersed in Hamden Youth Hockey, where he developed a lifelong love of the sport. He played all through his youth, including at Hamden High School, where he chosen as Division I Player of the Year in 2000 and named to the All SCC, All Area, and All State teams. He continued after high school, playing for the Gunnery Prep School in Washington, CT, Junior Hockey in Albany, NY, and briefly for Sacred Heart University, Fairfield, CT. Most recently, Rich worked for Donahue Hockey Skills Program where he mentored young players and helped them achieve their goals. His passion for the sport shined through when he was on the ice coaching children of all ages. Hockey was more than just a game to Rich, it was about sportsmanship, teamwork, and working hard; qualities that he instilled in in all of the children that he coached. Rich was not only a coach but he was a continuous support, never missing a playoff or championship game of any of the players he coached no matter how early or far away the game may be. Friends may attend his funeral from Beecher & Bennett Funeral Home, 2300 Whitney Ave., Hamden on Monday, March 25th at 9:00 a.m. followed by his Mass of Christian Burial, to be celebrated at 10:00 a.m. in Our Lady of Mt. Carmel Church, Whitney Ave., Hamden. Friends may also visit with his family at the funeral home on Sunday from 3:00 p.m. to 7:00 p.m. Interment will be private. In lieu of flowers, contributions in Rich's memory may be made to the Rich Pogonelski Scholarship Fund, c/o Atty. Christopher M. McKeon, 900 Chapel St. 11th Floor, New Haven, CT 06510. "Email Address" would like to share the life celebration of Richard S. Pogonelski. Click on the "link" to go to share a favorite memory or leave a condolence message for the family.